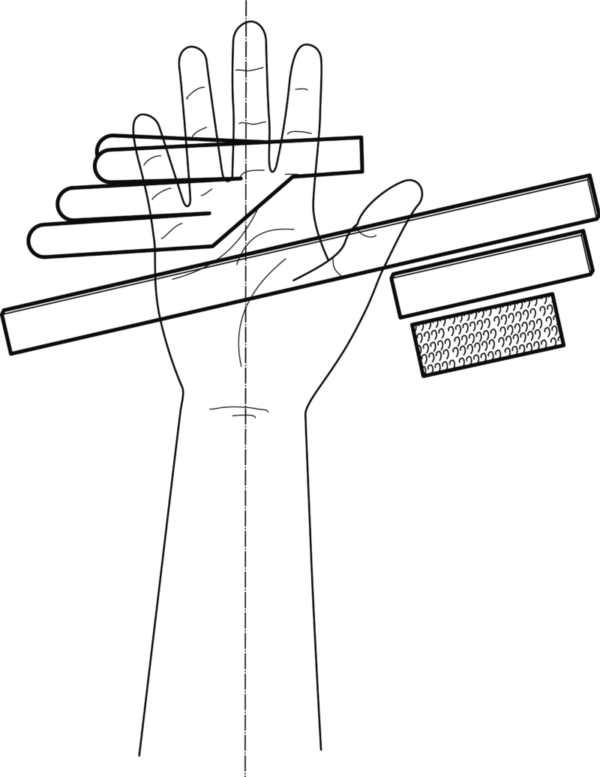 Mould the strip of splint material laterally over the index finger from the PIP joint to past the MCP joint. 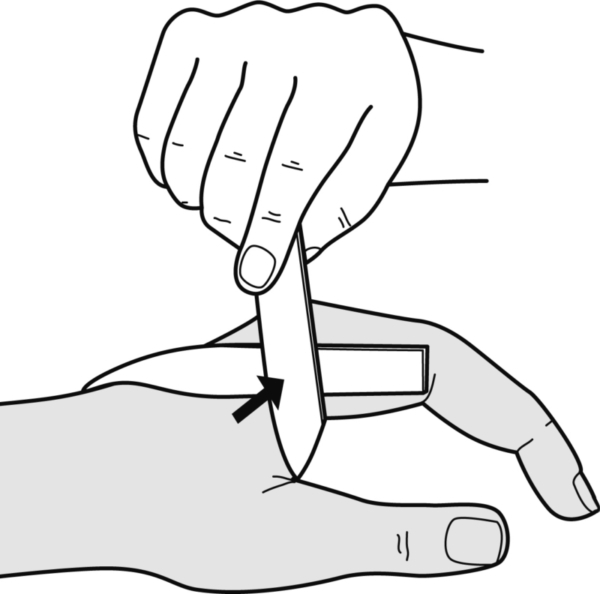 … and then back towards the palm, below the transverse crease. 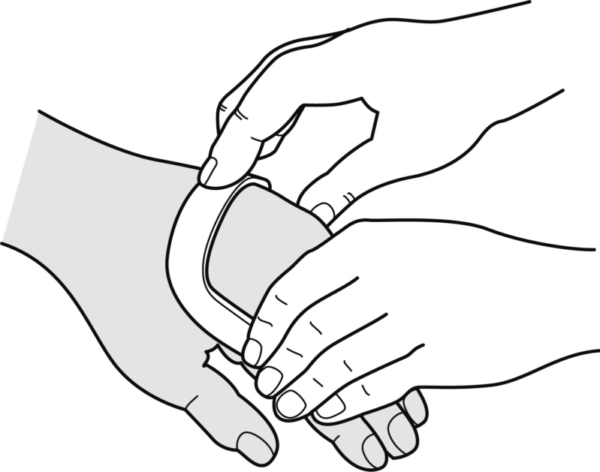 Finish off at the level of the 2nd MCP joint and stick together by pressing. 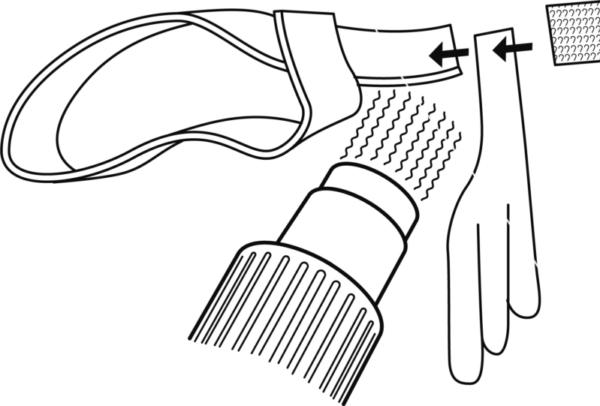 Attach the supplied loop tape distally over the outrigger with the heat gun. Stick a piece of hook tape on top. 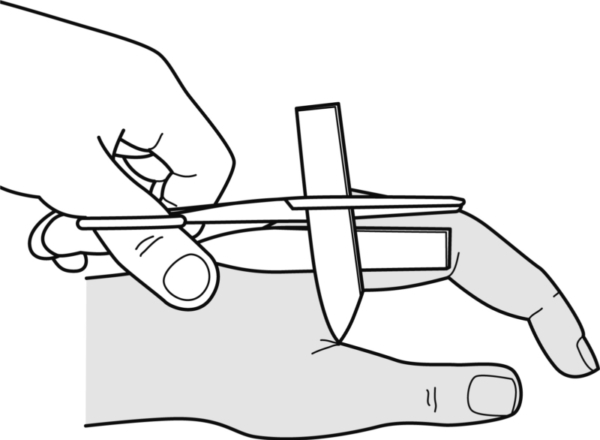 Bring the straight loop around the index finger and attach it to the outrigger. 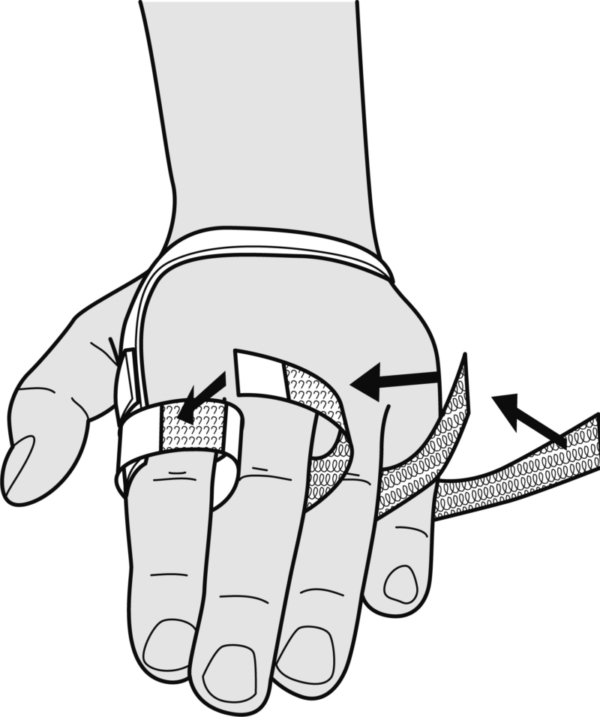 Stick a piece of hook tape dorsally at the level of the index finger and bring the next loop around the middle finger. 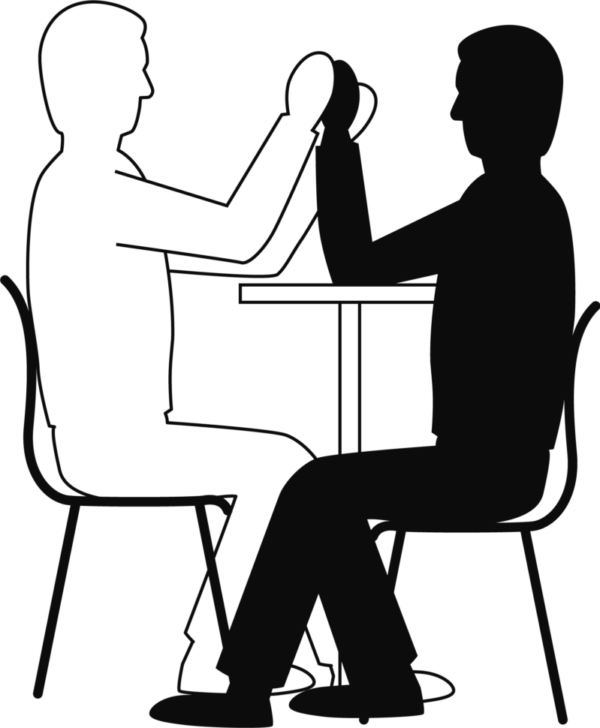 Continue with all the fingers. 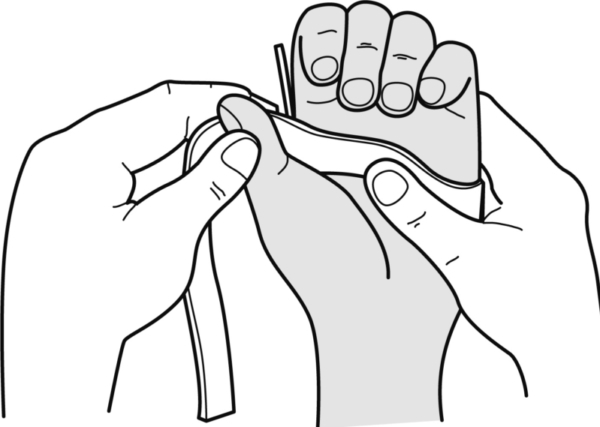 Finishing: Apply some soft padded material at the level of the MCP II joint. 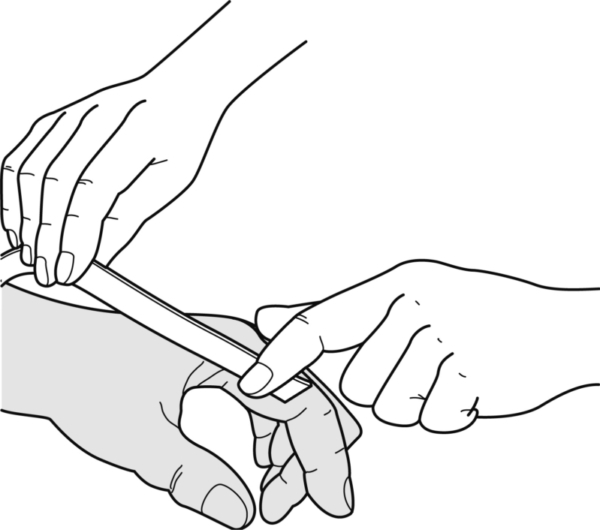 Fixation: Sometimes it may be desirable to open the splint at the level of the 2nd metacarpal and close it again with a hook and loop tape.